Researching my new novel, Distant Echoes, I found out about a court case that Richard was involved with concerning a woman called Katherine Bassingbourne. She brought a complaint before Richard’s Council because she couldn’t afford a lawyer and Richard seems to have taken her side, despite it being of no benefit to him to do so. She wasn’t powerful, influential or rich – he helped her simply because he believed in justice. So, what was her story? She was the daughter of a York dyer, Thomas Worcester, who made a ‘nuncuperative’ will on his deathbed. A nuncuperative will is a verbal will, usually made when the person involved was too ill or weak to write a normal one and required two witnesses. 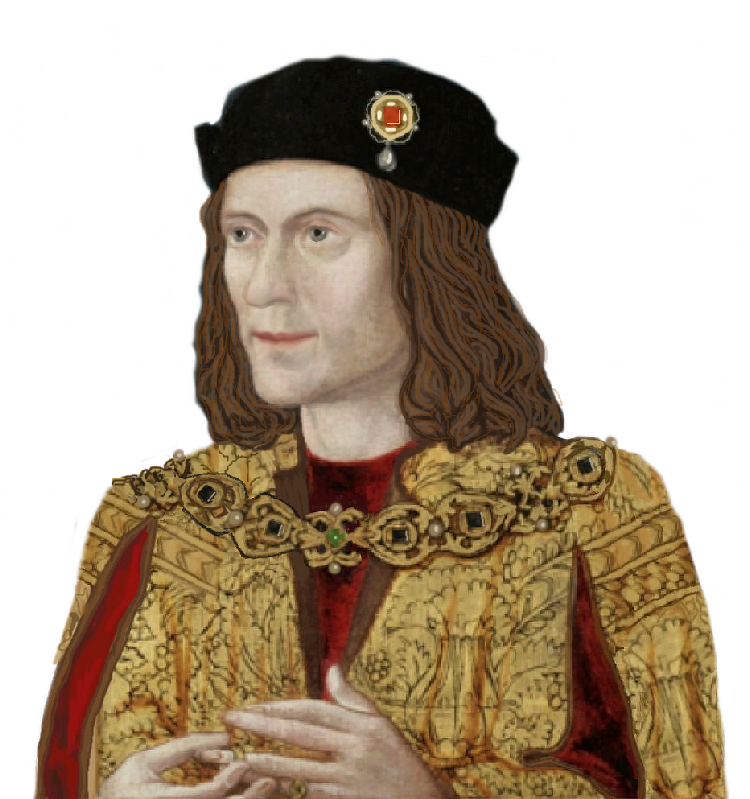 Richard writes to the mayor of York, Thomas Wrangwysh, in September 1484, ordering him to adjudicate impartially on the case, which was between Katherine and a Henry Faucet. He enclosed a petition from Katherine, whom he referred to as ‘our poor subject’ setting out a ‘grievous complaint’ against Henry. He tells Wrangwish to dispense justice in accordance with ‘our laws and good conscience’. The case was deferred for a month so two witnesses could provide statements, confirming that Katherine’s father had made this nuncuperative will in 1452 (over thirty years before). He had bequeathed his house in York to his wife, Ellyn, until her own death, when he wanted it to revert to Katherine and any heirs she might have by then. It seems that Ellyn was probably Katherine’s stepmother. We next hear about the case in March of 1485. It seems that Katherine had not yet received the house due to her, despite the testimony of the witness statements and had again petitioned King Richard to help her. He was then amidst a personal turmoil of his own, as his wife, Anne, was dying, but he still intervened again for Katherine and appointed John Lewes, ‘sergeant at arms unto the king’s highness’, to represent Katherine at the second hearing. We find out that after her father’s death his wife, Ellyn, had married Henry Faucet. Henry had also died by now and Ellyn was trying to bequeath the property to the surviving family of Henry after her own death, thus cutting Katherine off with nothing. This was Katherine’s complaint – a breach of the terms of her father’s will. Annoyingly, the result of this hearing was also adjourned and there is no surviving record of the final verdict. I like to think that Katherine succeeded in her suit and that she was ‘relieved and helped’ by Richard, just as we know he helped ‘many a poor man’ gain justice. With thanks to David Johnson, who steered me to his article in The Ricardian Bulletin of June 2017, where you can read all that is known of the story summarised here. Is this the face of Lady Anne Mowbray….? Here is what little Lady Anne Mowbray may have looked like. She was the child bride of one of the so-called Princes in the Tower, the younger one, Richard, Duke of York. Her burial was recently extensively covered by sparkypus here. Now The Times has come up with an article about the reconstruction of this little girl’s face. Here is the article in full, for those who need to see past the paywall – note that it does not mention John Ashdown-Hill, whose research this is. His latest Lady Eleanor article is on pp.35-7 of the current Bulletin and Bruce Watson’s on pp.37-8. “The face of a Plantagenet princess has been reconstructed from her skeleton, while her bones and hair have yielded data on her stature and health at the time of her death in 1481. The remains of Lady Anne Mowbray also have the potential to illuminate one of English history’s greatest mysteries: the fate of the Princes in the Tower. “Lady Anne was the daughter of the Duke of Norfolk, his only child and, after his death in 1476, the greatest heiress in England. Edward IV got papal leave to have her married to his younger son, Richard, Duke of York, in 1478, although she was related to the Plantagenets and both were legally too young to marry. “However, Anne died before her ninth birthday, leaving Richard a widower at the age of eight. Interred in Westminster Abbey, she was later ejected by Henry VII in 1502 when he built his own mortuary chapel at the eastern end. “Her coffin was then reburied in St Clare’s Abbey near Aldgate, the home of her mother, the dowager duchess of Norfolk. “In 1964 a digging machine uncovered her vault while clearing wartime bomb damage, as Bruce Watson reports in Transactions of the London and Middlesex Archaeological Society. “Dr Francis Celoria of the London Museum (now the Museum of London) realised from the finely engraved plate on the lead coffin who was inside it and set up a multidisciplinary scientific investigation to study her remains. “A fuss in parliament and in the press about the failure to obtain a burial licence curtailed the study, and its results have never been fully published. They do, however, show that she was about 4ft 4in tall — small for a modern child of nine, but the norm until the late 19th century due to deficiencies in diet. “Her hair had high levels of arsenic and antimony, perhaps from her medicines, and she seems to have suffered from ill-health. When her body was prepared for burial her shroud appears to have been treated with beeswax and decorated with gold leaf or thread, and a separate cloth covered her face. ” “Individuals like Anne who are precisely dated are vital, so her remains are of international importance. A recent survey of more than 4,600 juvenile burials from 95 British medieval and early post-medieval sites included no named individuals”, so their precise dates of birth and death could not be ascertained, Mr Watson notes. “Of more general interest was a congenital dental anomaly — missing upper and lower permanent second molars on the left side — that Lady Anne shared with the two juvenile skeletons found in the Tower of London in 1674, assumed to be those of her husband, Richard Duke of York, and his brother, King Edward V (the Princes in the Tower). The bones, which are interred in a splendid marble urn in Westminster Abbey, have not been examined since 1933, but reanalysis of photographs has suggested that the two juveniles were 13½-14½ and 11½-12½ years old when they died. “Since Richard’s skeleton was discovered five years ago and intensively studied before his reburial in 2015, his DNA is available and a link through the male Plantagenet line could be established, Mr Watson notes. Despite many suggestions in recent decades that the putative remains of the Princes in the Tower should be subjected to the minimal sampling needed using modern technology, the authorities at Westminster Abbey (a “Royal Peculiar” outside the Church of England’s control) have resisted. Saturday 30 July saw nearly twenty of us visit Sutton Hoo, a National Trust property that overlooks Woodbridge from across the Deben. Members travelled from London, Ipswich or by themselves, using booked taxis from Woodbridge station. We were there for three and a half hours, joining an official tour of the Burial Grounds and visiting the indoor Exhibition Hall. The main grave is supposed to be that of Raedwald, at least a third-generation Anglo-Saxon immigrant from Angeln. Like his grandfather, Wuffa, Raedwald was a “Bretwalda” or high chief of all Saxons south of the Humber and east of about Birmingham, and his “Wuffing” successors became Kings of East Anglia as part of the Heptarchy. Raedwald ruled from 599 to 624/5 and converted to Christianity late in life, yet was still buried in pagan style, possibly at the behest of his sceptical widow. Two of his great-nieces are St. Ethelreda (aka St. Audrey) who is buried in Ely Cathedral and Sexberga, who married Earconbert, King of Kent, their great-granddaughter becoming the mother of Egbert III of Wessex, grandfather of Alfred. Raedwald’s brother Eni is, therefore, an ancestor of every undisputed monarch of England (except possibly from 1066-1154). The Wuffings ruled East Anglia until 20 November 869 when their last King, Edmund, was martyred by the Danes. In summer 1938, the widowed Edith Pretty was overtaken by her own curiosity about the estate she owned and hired an amateur archaeologist and tenant farmer, Basil Brown, to investigate. Other authorities, at county, University of Cambridge (Charles Phillips) and University of London levels became involved – before war was declared and the task was suspended, the artefacts already discovered being stored in disused Tube stations. The British Museum, under Rupert Bruce-Mitford, resumed the process in 1965. On arrival at Sutton Hoo (a Saxon word for hill), we booked our places on the official tour. It started at twelve thirty and was barely supposed to exceed an hour but lasted about ninety minutes. Our guide was Neil Montgomery of the Sutton Hoo Society, who was knowledgeable and enthusiastic with a good voice. We first passed Tranmer House, formerly the home of Colonel and Mrs. Pretty, and reached the seventeen mounds. In the first, Brown found a random selection of rivets because grave-robbers had beaten him to it and no other evidence remained. In the second, he found rivets arranged in the shape of a wooden ship (a “clinker vessel”), together with soil that had absorbed the wood and changed its chemical characteristics. Knowledge of pre-conversion Anglo-Saxon burial rites, the personal possessions (a helmet, bowls and spoons by the head; weapons, a purse, shoulder-clasps and a great buckle by the torso; drinking vessels and other artefacts lower down) and the size of the ship showed that only a prominent chieftain could have been laid here. Brown found no human remains, save for phosphates in the soil, but many of Raedwald’s successors were Christians and thus would have been buried differently. The important mounds were reconstructed in the sixties, to heights calculated trigonometrically, but have started to erode again. After viewing the principal mounds, we were shown the grave of a younger man, who died in his twenties during the same era and could be Raedwald’s son, buried with his horse. There are also the graves of a number of people who were hanged or beheaded in the later Saxon era. The Exhibition Hall features a lot more information and artefacts from the Wuffings’ era, including a recreation of the burial chamber and a film shown at regular intervals. We expected to spend just under an hour exploring Woodbridge but there was insufficient time for this although there some old buildings such as the Shire Hall and C16 Bull Hotel, visited by Defoe. Edward Fitzgerald, the translator, is also commemorated in the town. During the summer, an open-top bus runs hourly around Woodbridge on Wednesdays and Saturdays, stopping at Sutton Hoo.